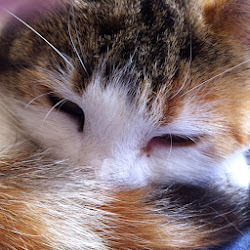 A subject recently raised on the Etsy Ireland Team forum: what's in a name? Well it's a good question, how did you arrive at your choice of Etsy shop name? There are some really great and creative names names on Etsy, my favourite is Hello Knitty - a shop no longer selling, absolutely hilarious name to me as i'm a huge Hello Kitty fan. Shop names are important, you really want something memorable that says what you do - or alludes to it. Some folks do have a shop name that doesn't 'do what it says on the tin' but they have a logo that explains it instead. Your name is a part of your brand. I cannot say if this is the case worldwide but having your own name in your shop name used to be something of a tradition here in Ireland. You might say 'i'm just popping down to O'Sheas for some milk' or 'i'm off to Murphys' for a swift one' (a drink). Once upon a time many businesses in Ireland were family run, to this day you will still find many in rural towns and villages. However most shops on the highstreet are chain stores these days so the family run business with the family names have died out a lot. You will still find many pubs with someone's name though - the |Irish hold on to that tradition for dear life! 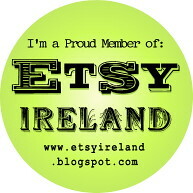 You will also find a lot of Irish artisans and artists do include their name in their shop / business. I originally had Petscrap as a shop name - it was a funny poke at crap and also Pet Scrap as in scraps of paper. I like my double entrende's. But I found that a lot of people didn't really get the joke and in fact crap is a lot more offensive in some parts of the world than it is here. So I decided I needed a name that 'does what it says on the tin' - so I decided upon Petras Creations as I wanted something more inclusive than Jewellery, as I also make cards, ornaments, keyrings, glasses chains etc. I hope it is a memorable name in conjunction with the bright colour of my shop.